This survey gives snapshots of travel times in traffic conditions at two different times as given by Google’s crowdsourcing techniques*. Drop offs at disabled-friendly rear entrance to UCLH. 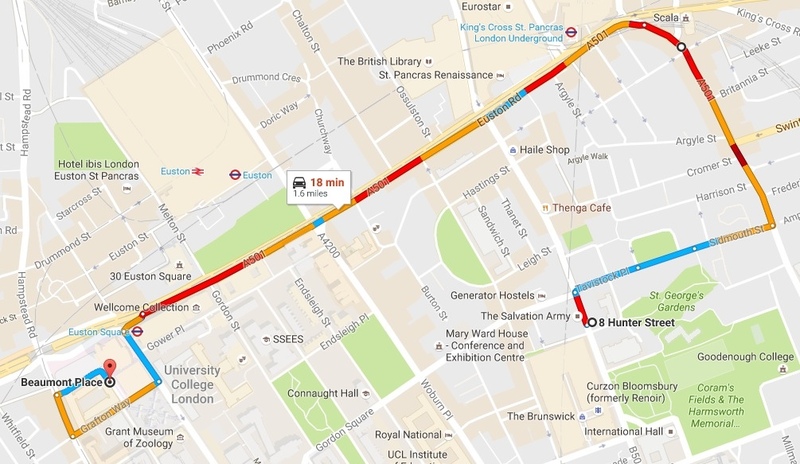 Gower Street drop offs are about 3 mins quicker. A starting point anywhere on Judd/Hunter would give similar results. No longer possible so no accurate time in traffic can be given. Feasible under all current and proposed restrictions. 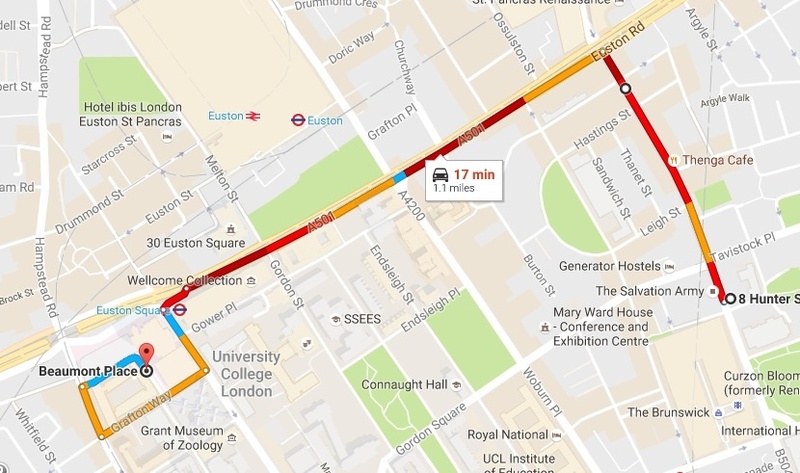 Currently feasible but will not be with banned left turn at Judd St/Euston Rd. 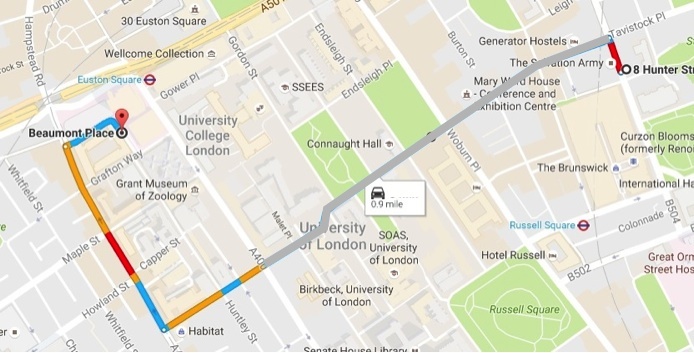 * Google’s crowd-sourced traffic data is compiled by tracking mobile phones in vehicles. It is widely used and anecdotally, it seems to be respected by drivers who have checked its accuracy (https://goo.gl/ErTXuc).